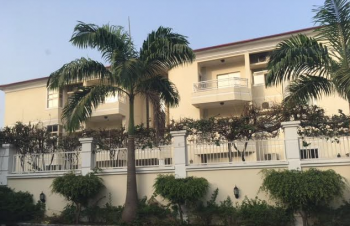 The average price of flats for rent in Maitama District, Abuja is ₦5,990,000 per year. 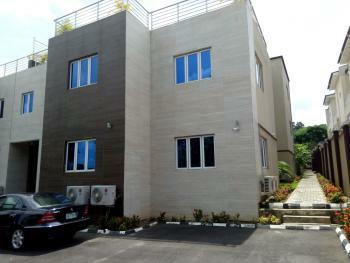 The most expensive flat costs ₦25,000,000 per year while the cheapest cost ₦600,000 per year. 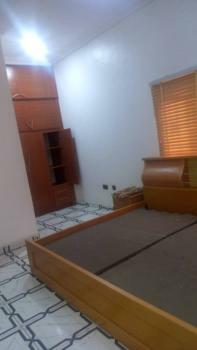 There are 100 available flats for rent in Maitama District, Abuja, Nigeria. The flats have been listed by estate agents who can be contacted using the contact information provided for each flat listing. The list can be filtered by price, furnishing and recency. 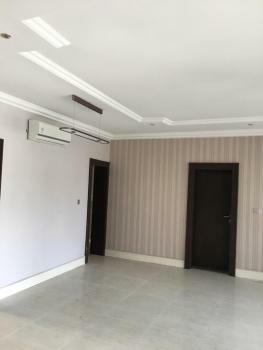 Brand New Luxury One bedroom apartment is available for rent in Maitama in a very serene environment with green area and ample parking space. Features include : All rooms en suite, wardrobes, 2 stand-by Generators, air-conditioners, Fully fitted kitchen, Washers and Dryers, Intercom, external Cctv, 24 hours security, 24 hours electricity and lots more. 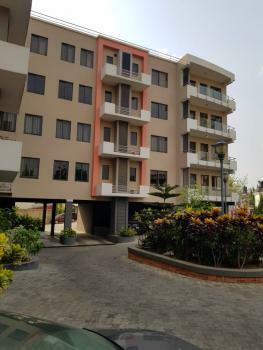 Brand New Luxury furnished 2 bedroom apartment is available for rent in Maitama in a very serene environment with green area and ample parking space. 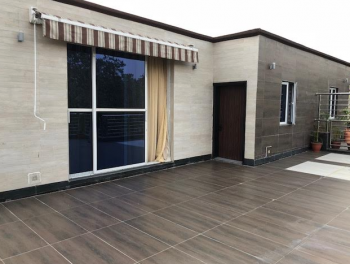 Features include : All rooms en suite, wardrobes, 2 stand-by Generators, Open pent house, air-conditioners, Fully fitted kitchen, TV's in all rooms and sitting room, Washers and Dryers, Intercom, external Cctv, 24 hours security, 24 hours electricity and lots more. 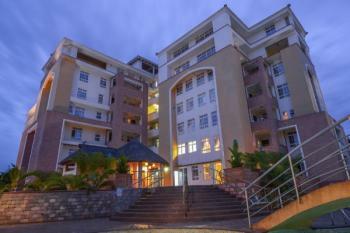 Well finished and spacious 2 bedroom apartment for rent. 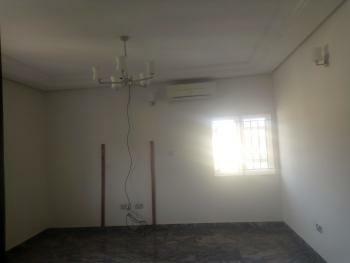 ₦11,000,000 per annum Swizz Homes Ltd.
Arguably one of the most desirous apartment in Maitama district, Abuja. This property was designed and built with all imagination, grandeur, style, comfort and tranquility associated with affluent living. 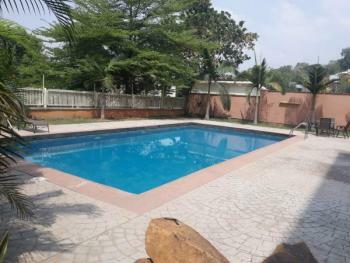 This property comes with 0ne bedroom suites up to five bedroom duplex homes.Facilities include: Swimming pool, Gym, Restaurant, Tennis Court, Basketball Court, Jogging track / football pitch, Children playground, Business Cafe, Cctv, Wifi, Fire detector, Intercom, Elevators, Laundry, Game room, Club house, Mini Mart. 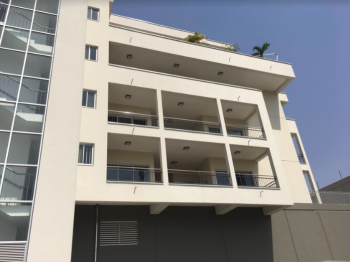 We introduce a residential property comprising of 4units, 3bedrooms Spacious Apartments attached with a room servant quarters each having Swimming pool, Standby Generator Set, Air Conditioners Units, gate house and large parking space. Recently a corporate organisation vacated the property having built there own real estate. The owner requires a single corporate organisation to lease the 4 apartments. 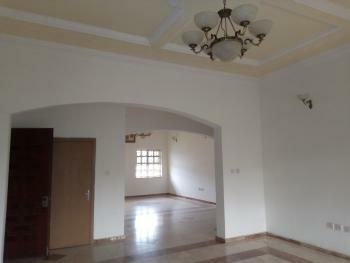 It needs renovation to bring the latent value out.Rent: N6.250m per annum payable in advance for each unit. Price is open for negotiation.Call Realtor for viewing and other enquiries: Habitat Multiconcept Solutions Ltd Terms and Conditions Apply. 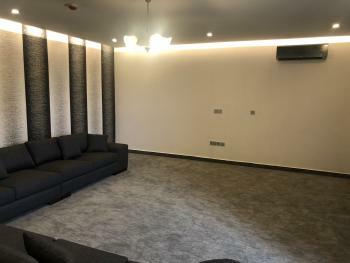 Fully serviced and furnished 2bedroom flat with generator and air conditioner, features: all rooms furnished with bed, television, sitting room furnished with chairs, dinning chairs , swimming pools, gyms, generator, air conditioner, fitted kitchen with gas cooker, refrigerator,micro wave. services: generator for power supply, security guard, air conditioner, gym service,swimming pools, water supply, cleaning of common area, waste disposal . 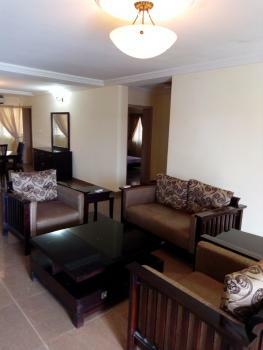 A lovely serviced and furnished 1 Bedroom Luxury apartment is available for rent in Maitama, Abuja.This property comes fully furnished and clean with spacious rooms, bright reception with a large roof offering superb living space. 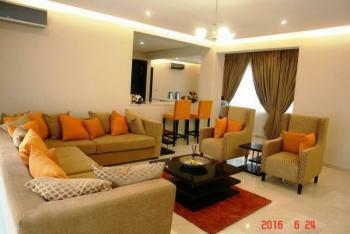 It also comes with sumptuous contemporary interiors throughout with European finishing and ample parking space. 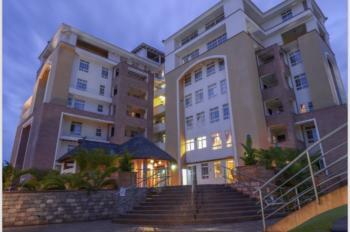 This desirable property is enviably located few meters from the Hilton. 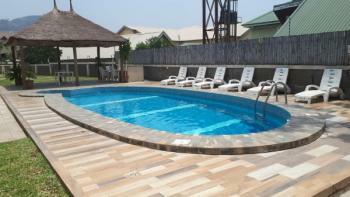 Fully furnished and serviced 3 bedroom block of flat with 1 room servant quarter. Features : spacious 2 living rooms with dinning area furnished and fitted kitchen with cabinets, fitted with bathtub and water heater, all rooms fitted with modern wardrobes, all rooms fitted split units air conditioner, refrigerator, gas cooker, wash machine, serviced: Dedicated sound proof generator for power supply, 24/7 cleaning of common area, 24/7 corporate security guard, water supply, air conditioner, waste disposal. Spacious and serviced 3 bedroom block of flat with 1 room servant quarter, features: spacious parlor with dinning area, air conditioner, Elevator, (lift), fitted kitchen with gas, refrigerator, smoke extractor, microwave, all rooms en suits with guest toilet, gym, swimming pool, modern wardrobes, services: generator for power supply, 2/4hrs uniform security guard, water supply, maintenance of swimming pool, gym cleaning of common area, waste disposal. An exquisite 3 Bedroom Luxury Furnished Apartment is available for rent in Maitama, Abuja.This Luxurious apartment offers high-end included features from our brand name partners like Kohler, Whirlpool, Progress Lighting, and more.This is currently arguably one of the best apartments in Abuja, Maitama with complete furnishing, spacious rooms, bright reception and a large roof offering superb living space.It comes with sumptuous contemporary interiors throughout with European finishing, Swimming pool, Play-ground for kids, Cctv, Gymnasium, washing machines, intercom, Boys quarter and lots more.This desirable property is enviably located few meters from the Hilton. 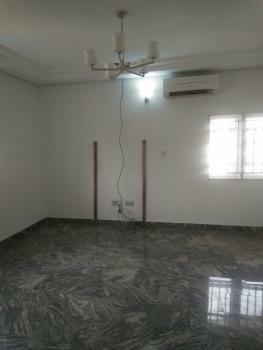 Serviced 2 bedroom flat with generator and air conditioner, pop finished, all rooms en-suits, modern wardrobes, kitchen cabinets, security guard, water supply, waste disposal, cleaning of common area. Diplomatic fully serviced 3 bedroom flat, all rooms ensuite, pop finishing spacious bedrooms with huge living rooms, balconies, fully furnished kitchen with storage, laundry space, gardens, Elevator, swimming pool, gym house, massive parking space, guest toilet, servant quarters, lush green areas for children play ground, this property comes with -24hrs uniform security guards -24hrs power supply - CCTV cameras - pool - elevator -gym - cleaning n gardening Now letting at Maitama #14.5M, inclusive of serviced charge.. Pls only serious client should call. Maitama is a district located in the north of the city of Abuja. It is bound by Wuse to the southwest and Central Districts to the southeast. It is under the phase 1 development plan of the federal capital territory. It is a very exclusive and expensive district where the cr¨me de le cr¨me and top politicians reside. Embassies and High commissions are located Maitama district. The Major roads are Murtala Mohammed way, Shehu Shagari Way, IBB way, Agoyi Ironsi Street and Gana Street.